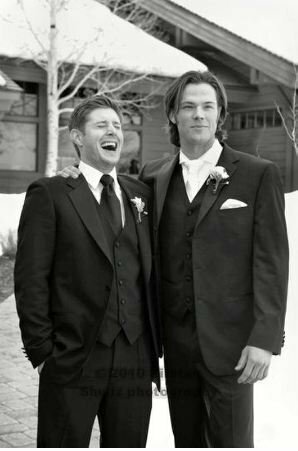 Jensen at Jared's Wedding. . Wallpaper and background images in the jensen ackles club tagged: supernatural jensen ackles jared wedding jared padalecki genevieve cortese 2010. Love these guys with all my heart! They are so so cute!